Asterisk solution provider division of Ecosmob Technologies provides the customized services and solutions in Asterisk for business and organizations to enhance the communication and collaboration. We help our clients revolutionize their Telecom infrastructure with Asterisk solutions and services. Our core strength are teamwork, integrity, vision. We believe in close association with our clients to work for mutual growth. Quality and Timeliness are the two main attributes that set us apart from our contemporaries. Our qualified team ensures to catapult our experience, potential and expertise with every completing project. We have helped many customers to streamline their Telecom infrastructure and communication. We are happy to see our work help various organizations to improve productivity, flexibility, customer satisfaction and efficiency. Our customers have shared words of appreciation and we are glad to share a few of them with you! 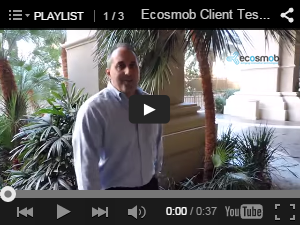 We, at Asterisk services provider division of Ecosmob Technologies offer robust solutions for our clients. Our team consists of professional VoIP developers with vast experience in various domains. 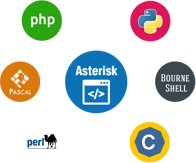 We have developed various customized software, applications and modules in Asterisk. An interface to add various functionalities to different Asterisk applications. It can control dialplan and perform various operations on database, system, etc. IVR system can be used for telephone banking, order placement, call routing, caller identification and many other applications to use resources efficiently and effectively. 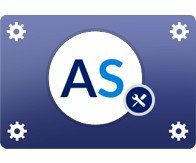 Asterisk software, application and module development and customization according to client requirement is offered by the experienced Asterisk Developers. How to Use an IVR Payment Solution in Insurance? 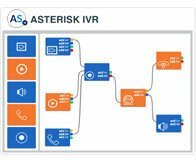 What To Keep In Mind While Considering Asterisk Video Conferencing Solution? What is IVR Payment Processing System and Why you need it? What is Automated Appointment Reminder Systems and Why you need it? Why Your Business Needs IVR for Better Customer Service? Why SBC Is A Better Option Than VPN? © 2007-2019 Ecosmob Technologies (P) Ltd. All rights reserved.